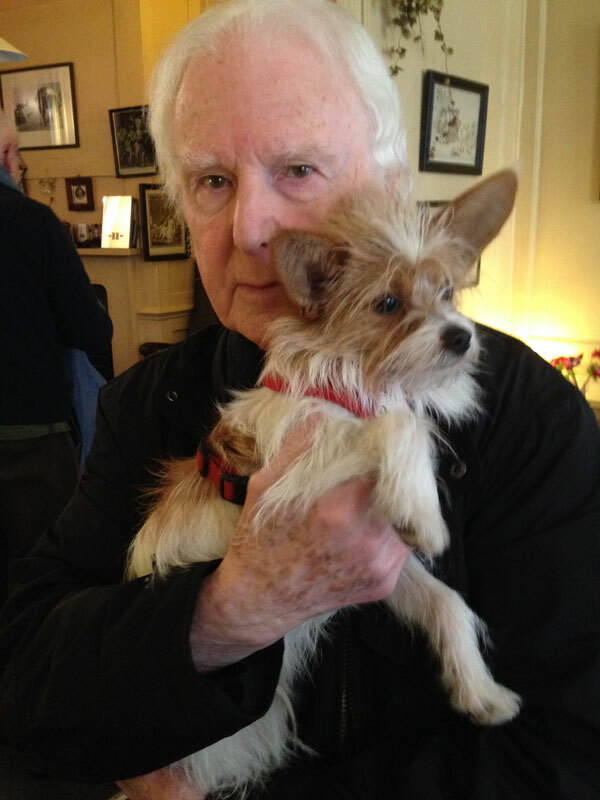 Tributes to Brian Sewell have washed through the press since his death on 19 September, citing his biting wit, his allergy to contemporary art and, yes, his luxuriantly drawled vowels. Less celebrated, but no less worthy of commemoration was the late critic’s staggering knowledge of art history. Though it may not always have been pronounced in his TV appearances and (largely scathing) columns for the London Evening Standard, Sewell was one of Britain’s foremost authorities on Old Master drawings – and therefore, a natural Apollo contributor. At one point, he was even in the running to become editor, losing out partly because the then-publisher was concerned about Sewell’s libellous tendencies. ‘Ian Hamilton Finlay is a Scot aged sixty-three’, Sewell begins, ‘he has some small European reputation as a sculptor, but beyond the braes of Scotland is almost unknown in the United Kingdom’. So far, so waspish. But Sewell being Sewell, it’s only a matter of paragraphs before the guillotine blade descends on Finlay’s reputation. Unlike the Rake, the notoriously prickly Finlay was not amused. In 2011, writer and curator Tom Jeffreys got the full story from Brian Sewell: shortly after the piece had appeared in Apollo, the magazine’s offices in Davies Street received a visit from Finlay’s ‘heavies’ (Sewell’s term). An employee at the time recalls graffiti scrawled across the doors of the premises. Sewell, too, got a knock on the door that day – but it seems he knew what to expect; he hid at the top of his Kensington house with a dog until Finlay’s goons lost patience and left. Improbable though this sounds, Finlay did indeed avail himself to the services of a group he called the ‘Saint-Just Vigilantes’. According to a 2012 article by critic Waldemar Januszczak (a longstanding Sewell enemy described as ‘rebarbative’ in the article quoted above), this was a ‘band of impressionable Scots art yobs – Finlay’s storm troopers – sent to terrorise others and defend his honour’. There was no love lost between Sewell and Victoria Miro, Finlay’s gallerist over the affair. He told Tom Jeffreys that she ‘not set foot’ in anything he was involved with. Indeed, the two appeared to have conflicting memories of the episode: in a 2010 interview with the Observer, Miro alleged that Finlay had successfully sued Sewell over the Apollo article; for his part, Sewell denied that he had ever been sued by anyone. rest in peace Mr Sewell, your Sleeping with Dogs: A Peripheral Autobiography remains one of my favourite books, a little masterpiece.